Tyr-Ex Ltd,the only truly locally owned tyre house in Pity Me and Fram. I have some great prices on tyres going into the new year,why not give me a ring and see what I can offer.Could be the cheapest in the area. Hunter wheel alignment and Hunter wheel balancing available. Snow and all weather tyres available now. New! Nitrogen inflation service(ask for details). We are open most bank holidays untill 2.00pm approx. Our garage is ideally located in Pity Me, in the City of Durham and we serve customers from many of the surrounding areas such as Newton Hall, Brasside and Chester-le-Street. We have a wide client base serving domestic, commercial and retail customers within the Durham area. We stock all the major brands including Pirelli, Michelin, Dunlop, Etc.Also we have become main dealer for Maxxis tyres in this area. Our promise to you is, if we haven’t got the tyre you require in stock, we will order it for same or next day delivery, guaranteed. If you would like to find out more, please don’t delay and get in touch today. We are extremely proud to offer you a professional and friendly service every time you visit us; whether you need new tyres fitting or wheel alignment we can take care of it for you.Our Wheel Alignment equipment is the best on the market ,(Hunter 3D image aligner from Pro Align the market leaders in the UK. 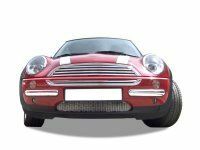 )We have been involved in the tyre and exhaust industry for the past 33 years and have built up a reputable business in that time. We are proud that so many of our customers come from repeat custom and recommendations, which means that we are offering the high quality services you really need and deserve. 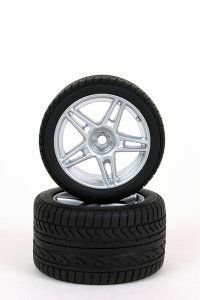 For further information on our tyre services please contact us by calling the number at the top of the page or by completing the form on our contact page.